If you’re a non-data-driven marketer, you might think that building a data-driven social marketing strategy is too complicated. However, if you do not measure and track the right things on social media, you still end up wasting a lot of time and energy. You spend most of your time guessing what is and what isn’t useful. This translates to a loss of money and other resources. You’re also losing a lot of opportunities to engage with your target audience. The worst part of all is that you might end up hurting your brand image because you fail to give your audience what they want. Why? Because you don’t know what exactly it is! Finding your target audience and the right personas. Identifying the right social media channels. Boosting the effectiveness of social media campaigns. Benchmarking against your tightest competitors. All of this help enhance your social ROI. Jumpstarting a data-driven social strategy doesn’t have to be that tricky as long as you have the right tools, you can collect vital information effortlessly. That way, you can better understand and make sound decisions. 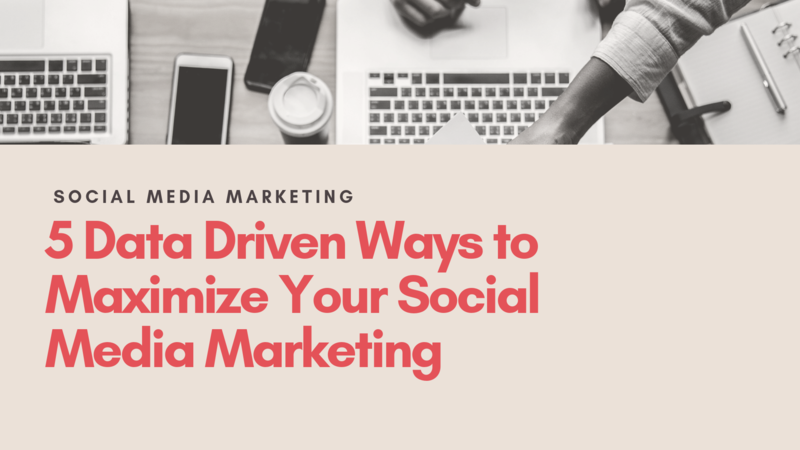 Now, we’ll look at the five data-driven ways where you can maximize your social media marketing. Various social media metrics help you understand how well your social media campaigns are doing, and the ROI that you get from them. However, the only way to ensure ROI is by measuring the right social media KPIs. You have to remember that social media success goes beyond your like, follower, and fan counts. Are you engaging the right people? How many of your followers are inquiring about your products and services? What percentage of your audience become actual customers? With that being said, your social media KPIs should be highly focused on engagement, reach, leads and conversions. The rest are just vanity metrics. Your social media KPIs should be focused on engagement, reach, leads and conversions. The rest are just vanity metrics. 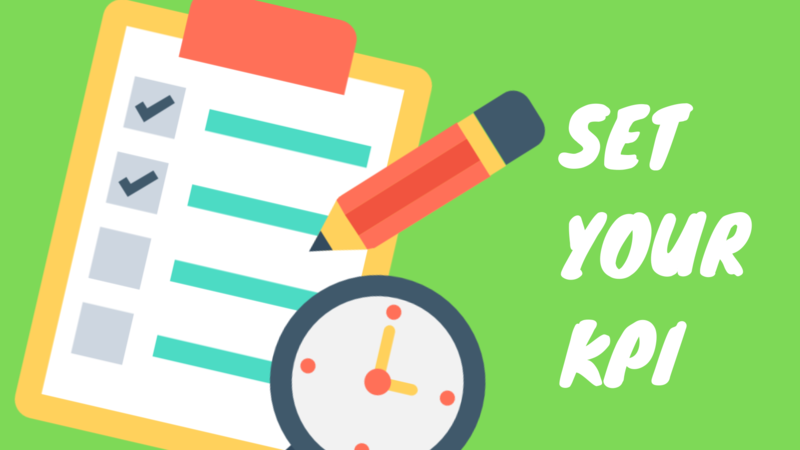 You also need to concentrate on the KPIs that are relevant to the social media channels that your brand is active on. Also, the ones that have the most relevance to your target audience’s behavior. Choose the right tools that rely heavily on data to maximize efficiency, collaboration, and workflows. It helps you enhance your capabilities. There are many tools are available across various social media channels, and most of these have native analytic software. For example, there are sophisticated tools on Facebook and Instagram that allow you to know who your most engaged followers are, and when are most of your audience online. Tools like Facebook Insights help you boost your engagement by gaining insight into what specific content your audience mostly responds to and what particular times of the day that they interact with brands. There’s also Buzzsumo, a social insights software allows you to look for keywords and find what’s trending on different social media platforms like Facebook, Twitter, Reddit, and Pinterest. Are you using native analytics for tracking and measuring your social media efforts, or a 3rd party platform? Don’t expect everyone to take your word for everything that you say. You should be able to back up your claims by using studies, statistics, and sources from third parties that are neutral. Your primary goal here is to be able to add credibility to your argument and rationale with other people. Also, 65 percent of average internet users tend to recall more information if it’s presented visually than text. That’s why incorporating infographics should be an essential addition if you want to maximize your social media strategy. They say that you should never put all your eggs in a single basket. Quite similarly, you shouldn’t invest so much on a single platform unless you know where your audience is. If you have an older demographic, then maybe you should make Facebook and Twitter as your top priority. Meanwhile, Instagram and Snapchat are go-to platforms for younger audiences. Do you know where your audience goes to find info about your industry, products and services? Go there and engage! There are different tools that you can use to track user engagement, such as Appsee, Hotjar, and Mixpanel. These will help you know who is engaging with your ads and will help you identify which social media accounts are appealing to your target audience. Also keep in mind that if most of your audience is on Instagram, it doesn’t mean that you should alienate Facebook or Youtube altogether. For instance, if you’ve recently gone on a company team building retreat, you can post fun photos and visuals on Instagram. Then, post an ad that will directly lead them to your profile on Facebook, publish an article on Medium and so on. That way, you’re already building steady relationships with leads, even before you talk to them. Paid ads example – Google Ads. A word about paid social media ads: If you see a video ad that has thousands of likes and comments, chances are, the majority of the page posts will have fewer likes, shares, and comments. This is because people are likely going to click, comment, like, or share a post if (a particular post) has already received massive amounts of engagement. Therefore, it is not advised to boost every single post because you’re wasting money. Instead, focus on creating an attractive and compelling ad that you can promote and let that be your bait. That way, it’s easier for people to click on your ad and visit your page. Then, you can begin to build an excellent relationship with them. Keep in mind that there’s no one-size-fits-all-strategy for all of this as every audience is different. In order to get the results you want, you must customize your social media strategy. With these data-driven tactics, even small changes can make a significant impact. This will make your efforts a worthy investment in the long run. This is a guest post from Lili Griffin, an e-commerce developer and Adwords specialist by day and a binge Netflix watcher at night. She loves sci-fi movies and laughs at silly YouTube videos.